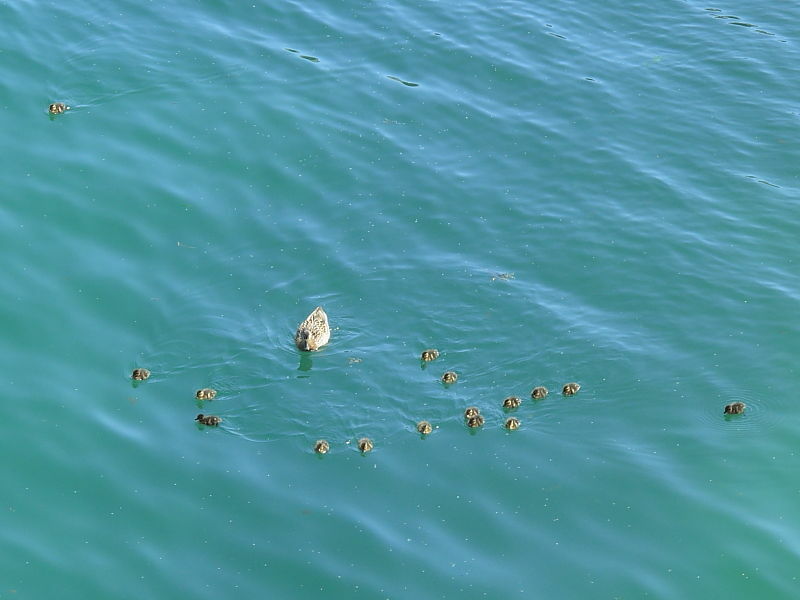 There were 16 ducklings on the water with a female Mallard back in April. 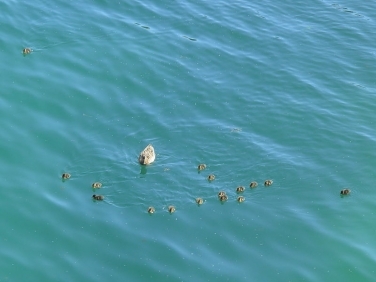 Yesterday another family appeared, this time with 13 young. They were very obedient and immediately gathered around the female duck when she called. 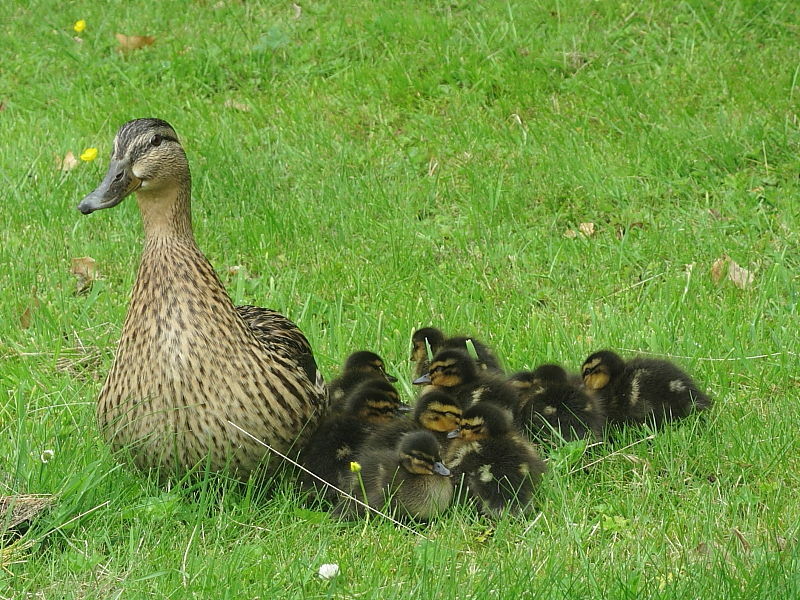 Insight into Mallard (Anas platyrhynchos): the UK’s commonest duck, a clutch is normally 8 to 13 eggs but up to 16 is known. The female leads the downy chicks to water soon after hatching and looks after them for about eight weeks.